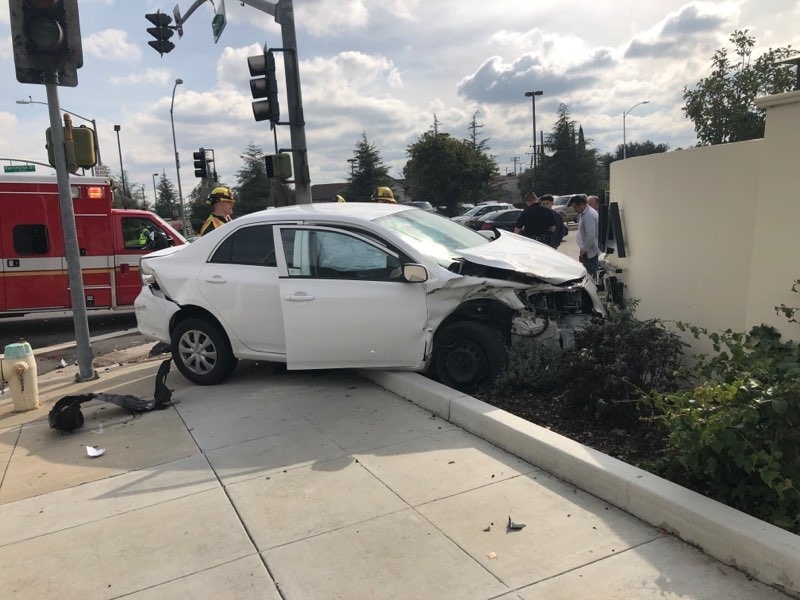 Cars collide at intersection near In-N-Out, causing major traffic delays during busy lunch hour. 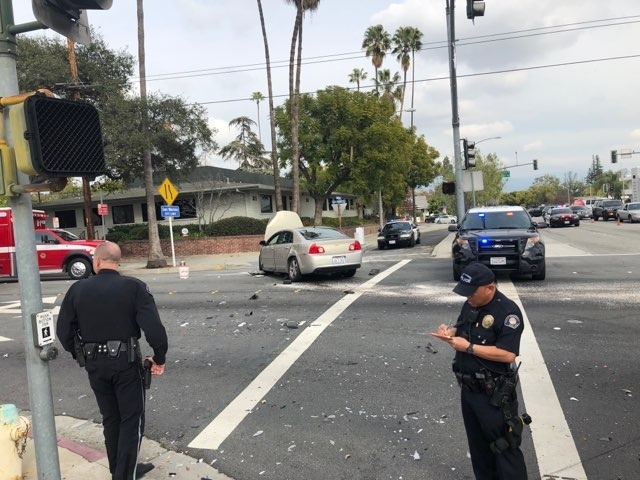 Two cars collided at the intersection of Huntington Drive and Garfield Avenue at approximately 12:30 this afternoon. 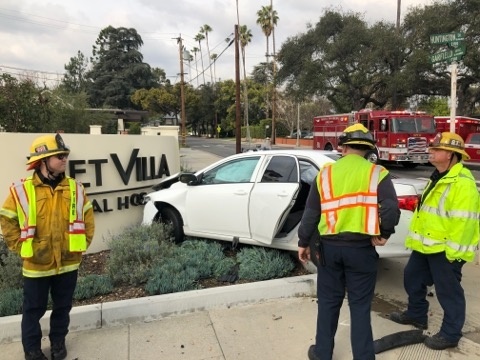 One vehicle was sent over the curb and into the Vet Villa Animal Hospital Sign on the corner. 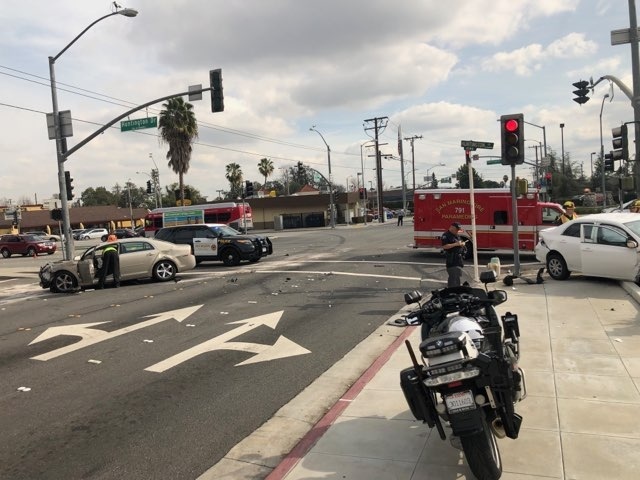 Multiple emergency units responded from San Marino and Paramedics were seen giving aid to those involved. 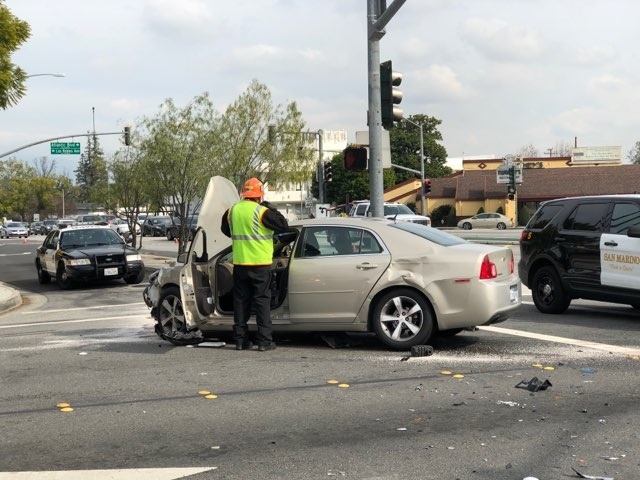 Details on injuries are yet to be reported. The cause is under investigation.